Welcome to our website. 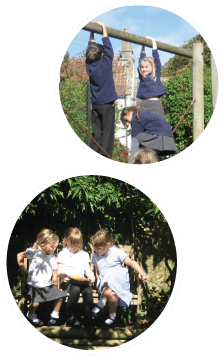 We hope it gives you a sense of our thriving village school, its values and aspirations for the children, who are at the heart of everything that we do. As a small rural school with small classes we are able to get to know the children and their families very well. We want to give the children an education they will remember; one which develops the whole child and which makes your child proud to be a pupil at this school. We have strong links with the Church and the surrounding village communities which we serve. The school itself is situated in a delightful setting in the heart of Marksbury, which is six miles from the World Heritage City of Bath. Explore our website to learn more about our school or contact us to arrange a visit. There is more information about the school in our online prospectus, which you will find on the 'Our School' tab. If you are thinking of choosing our school for your child, please phone the school office to make an appointment to come and spend time in our lovely school. We have an open door policy and welcome all visitors to see us at work.